Obstetrical and Gynecological (OBGYN) Associates, P.A. is a provider of a full range of healthcare services for women. Affiliated with the Women's Hospital of Texas, OBGYN Associates' more than 15 physicians have provided obstetrics and gynecology services for more than 50 years to the greater Houston community. 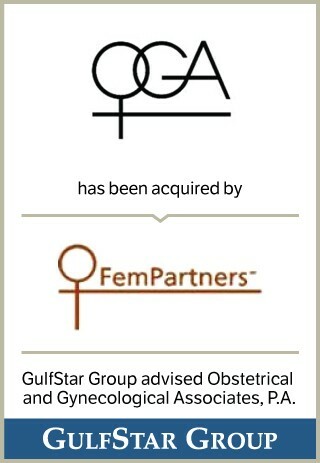 GulfStar assisted the doctors who owned OBGYN Associates in its sale to FemPartners, a specialty management company for women's health that was owned by private equity. FemPartners was later sold to Privia Medical Group.